Treasure seekers have found the haul of a lifetime, but it wasn’t in some ancient temple or mysterious island. Instead, it was in the sky. The international team of astronomers using data from two ESA’s space telescopes, Planck and Herschel, has identified more than 200 proto-clusters of galaxies in the distant universe, many of which were magnified by other galaxies lying in front of them via gravitational lensing. 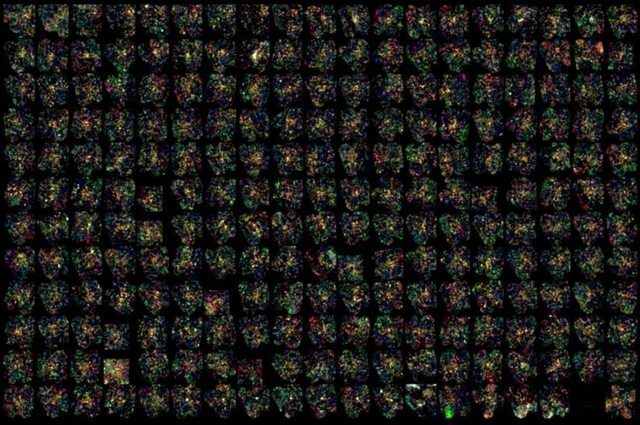 Planck’s all-sky images revealed the clumps of bright galaxies, while Herschel data allowed researchers to inspect the galactic gems more closely and confirm the discovery. Galaxies are rarely found floating on their own, and instead are usually found in large clusters of galaxies of tens or even hundreds. However, clusters like this haven’t always existed, and the question has always plagued scientists: how and when did they form? With these new insights, scientists should now be able to form better theories and gain new insight into how galaxy clusters evolved, including how dark matter influences these formations. In each of the relatively young galaxies found – ‘just’ three billion years after the Big Bang or so – gas and dust is being converted into stars at a rate of a few hundred to 1,500 times the mass of the sun each year. By comparison, the Milky Way today only produces stars at an average of one solar mass per year. 228 distant object observed by Herschel’s SPIRE instrument. Image credit: N. Aghanim et al. While the astronomers have not yet conclusively established the ages and luminosities of many of these newly discovered distant galaxy concentrations, they are the best candidates yet found for galactic proto-clusters. ‘We are now preparing an extended catalogue of possible proto-clusters detected by Planck, which should help us identify even more of these objects,’ said Ludovic Montier, a researcher at the Institut de Recherche en Astrophysique et Planétologie, Toulouse. “Even when we combined the powerful capabilities of Planck and Herschel, we were only scratching the surface of the phenomena taking place at this critical era in the history of our Universe, when stars, galaxies and clusters seem to be forming simultaneously,” said co-author Dr George Helou of the California Institute of Technology in Pasadena. “Thanks to this new study, we now hope that Planck will be able to play a major role in research into the large-scale structure of the Universe,” added Prof Gianfranco de Zotti of the International School for Advanced Studies in Trieste, Italy, and the INAF-Astronomical Observatory of Padova. Bottom line: This study also included data from the Infrared Astronomical Satellite, a former project of the U.S., United Kingdom and the Netherlands. The Infrared Processing and Analysis Center is the NASA-designated archive center for infrared astronomy missions, including the Infrared Astronomical Satellite, Planck, and some Herschel data.